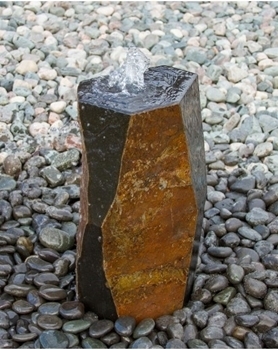 Part of our Zenshu fountain series, the Kazan fountain is certain to be a striking scenes no matter where this feature is situated in a landscape. 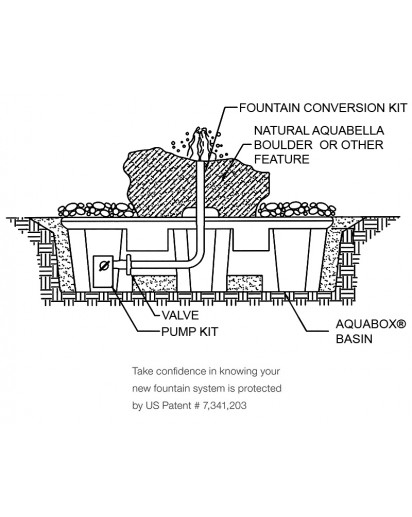 A rough texture traversing up a hexagonal‐shaped body allows for a pooling of water at its peak. 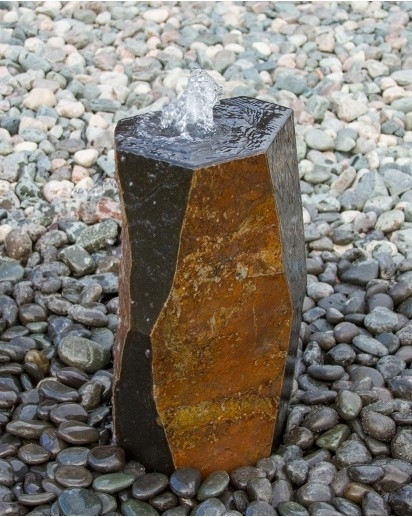 A taller column‐like object, the Kazan completes the look of any style landscape with its volcanic features and shimmering summit. 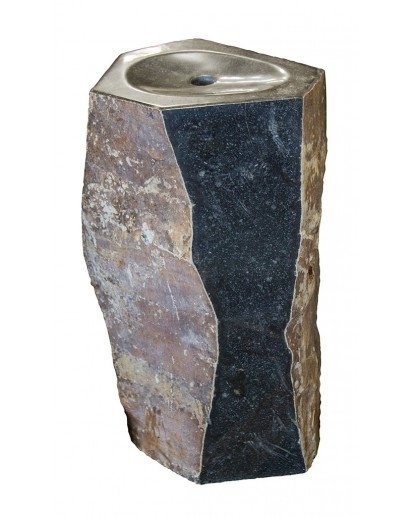 • Includes medium molded fountain basin, mag-drive pump, plumbing, tubing, and black polished pebbles.